At Project Acorn, I realized that I can have a powerful voice. The best part of Project Acorn for me was seeing how much love and support is built in such a short span of time. When I left Project Acorn, the world was a different, more magical, and more manageable place. Being a camper has opened my eyes to the diversity within the LGBTQ+ community, to the diversity of the group I’m a part of. I can credit the beautifully diverse chosen family that I now have to Ten Oaks. It’s filled a great void in the community for me. As staff, we create an intentional space for our campers where for one week, they don’t have to be afraid or ashamed of anything about themselves. The sense of belonging and community that I get from Ten Oaks is something that I can feel year-round. Camp Ten Oaks has shown me that I can be whoever I want to be. And, nobody can ever judge me for that. Launched in 2004, Camp Ten Oaks is a one-week, sleep-away camp for children and youth from LGBTQ+ identities, families, and communities ages 8-17. Camp Ten Oaks is the first and only summer camp of its kind in Canada, and is a program of the Ten Oaks Project. Our programming variety allows campers to receive instruction, strengthen old skills and develop new ones with the option to participate in outdoor adventure, waterfront, arts, social justice activities, and sports. 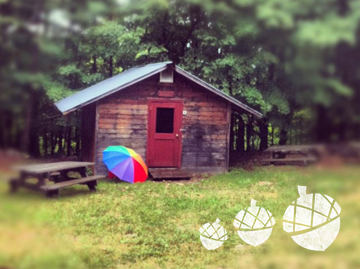 Camp Ten Oaks works from a camper-centered, anti-oppressive, and anti-racist framework. Camp Ten Oaks strives to offer an environment as diverse as the campers who enjoy our camp programming. Waterfront Programmers lead swimming, canoeing, kayaking, and other aquatic programs, and support all activities, staff, campers, equipment, and facilities that are at the waterfront area. The time commitment is May 2019 to September 2019. On-site requirements at camp includes the Staff Orientation weekend (May 9-12, 2019) and two weeks of Camp Ten Oaks (July 26 – August 4, 2019 and August 23 – September 1st, 2019). Off-site requirements include being available on a volunteer basis from May to September of the camping season to carry out the duties of the position. For the first time, we have moved from a volunteer staff team to hiring all roles as paid staff. This change comes from an effort to make it easier for CTO staff to join us for both weeks of camp; to take valuable time away from their lives and jobs to support our campers. Pay for this position is $450/week. In keeping with the Ten Oaks Project’s commitment to equity, applicants are strongly encouraged to self-identify in their applications. Applicants are encouraged to share accessibility needs in the application process, and every attempt will be made to accommodate them. Applicants will be selected based on experience, skills, and demonstrated commitments aligned with the goals of Camp Ten Oaks. To apply for this position, please fill out this application form and send it along with your resume via email (camp@tenoaksproject.org) before 11:59PM on Sunday, February 3rd, 2019. If you are a returning staff member, please submit a letter of intent outlining what role you are interesting in taking on, any opportunities for growth you see for camp from within your role, as well as any personal goals you may seek you explore or accomplish while at camp this summer. Please also note that only those selected for an interview will be contacted. Thank you for your interest. Adorn your inbox with glitter. Sign up to receive email from the Ten Oaks Project.